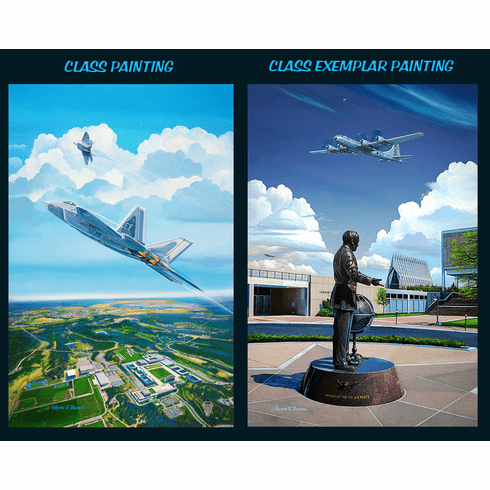 We are releasing a special edition of the 2012 Class Painting in order to help raise funds for the class. We will donate proceeds from each sale to the class fund. This edition will have the Class Crest and comes as a canvas edition only. We are working directly with the Class President, Paulo Dutra to manage this project. Each sale will be used to help raise funds for the Class. You can order the Class Painting or the Class Exemplar Painting. Just choose your painting from the dropdown menu. Each painting has a list price of $550.00.